If it is location that you are looking for, then look no further! Sinclair's City Hostel is within walking distance of Sydney's CBD and buzzing cafes, bars, restaurants and shops in the trendy suburb of Surry Hills. Ideal for the budget traveler and students who are looking for clean affordable accommodation without having to sacrifice on quality. There is a fully equipped kitchen and common area with large plasma screen TV and DVD, board games, book exchange and Internet (WiFi) available at no cost. There is a common outside terrace, coin operated laundry facilities and of course shared bathroom facilities (Self-contained bathrooms). All linen and towels is provided. We provide long term accommodation rates, please email sinclairs@cityhostel.com.au to find out more. Public transport is located at your doorstep. 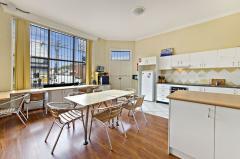 We are located within a 5 minute walk of Central station in the trendy inner city suburb of Surry Hills. There is a bus stop at our doorstep, transporting you to the CBD and Sydney's best beaches within minutes. We are located within walking distance of trendy Crown Street, a large supermarket, Oxford Street and Darlinghurst. Also within walking distance are Moore Park Entertainment Area (Fox Studios), SCG and Sydney Football Stadium, Randwick Racecourse and Centennial Park. Plenty of Sydney's best attractions located within reach of public transport. All rooms are fully furnished and lockable with privacy and security. 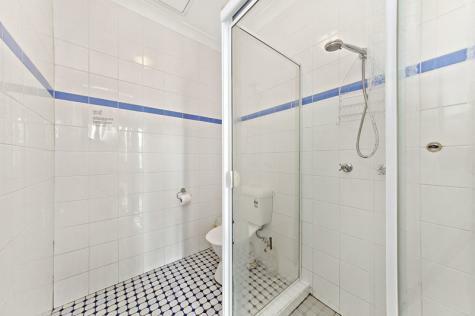 Mainly the tenants are university students, and backpackers, or people seeking short stays for budget pricing in the heart of Sydney. Ideal for self-catering with Fully equipped communal kitchen area, supermarket located within a 5 minute walk and bar fridges provided in all rooms. We are located within seconds of numerous budget as well as fancy restaurants, take your pick! Arrival time must be advised in booking information. Late check out is available (fees apply). Loads of Restaurants in the heart of Surry hills. Surry hills is famous for the bars and night life.